Give your aquarium a makeover that will reinspire you. 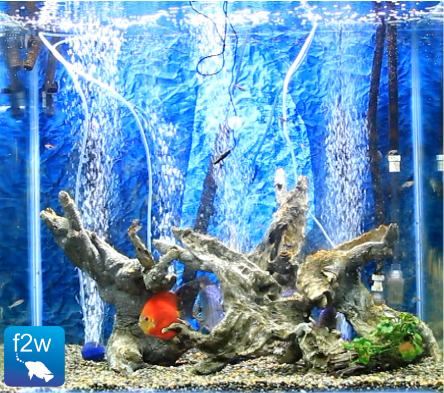 Let us re-inspire you with a great looking aquarium that you want and deserve. We often have customers contact us regarding aquariums that are hard to manage and that are lifeless. Its really easy to lose interest if you have to spend more time managing your aquarium than enjoying it. This is where we come in. We will overhaul your aquarium by adapting your filter system to be more efficient and need less maintenance. The aqua scape (Interior design) will be designed with your input in mind. Using tried and tested design principles and some nifty tricks. We will lower the overall amount of maintenance you need to do. The best part of it is that your aquarium will look fantastic and your fish will experience habitat enrichment. This is very important in ensuring your fish live a happy and healthy life. 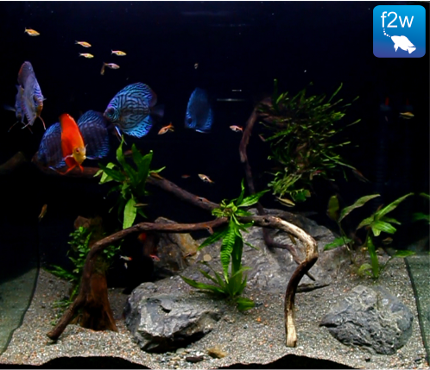 Check out the feedback for the tank makeover of the pictured Discus aquarium. "I had Greg do refits for my two Discus tanks earlier this year, and have found the service excellent. Greg provided community fish that were previously quarantined in his tank ensuring they were disease free and healthy, Greg was able to teach me what species would be right with my discus and gold nugget plecos. The aftercare was exceptional as he ensured (by further visits, and written instructions) that I understood how to take care of my new setups. The two designs fulfilled my needs, as I wanted easier cleaning and low maintenance. So Greg set things up so I now save time in tank maintenance.and I have real plants that require low maintenance too. A while ago, I had a problem with Black hair algae and all I had to do was contact Greg and he suggested a product that cleared up the algae and my newly planted young plants have blossomed into large healthy plants that are incredibly green. I also appreciate that Greg doesn't just do the work and leave you to your own devices, he was always just a phone call away to help me with any concerns or questions., His service also offers to clean the aquarium. I am so glad I got Greg to do the refits as I now have a natural setup for my Fish where they experience environmental enrichment swimming around healthy plants."